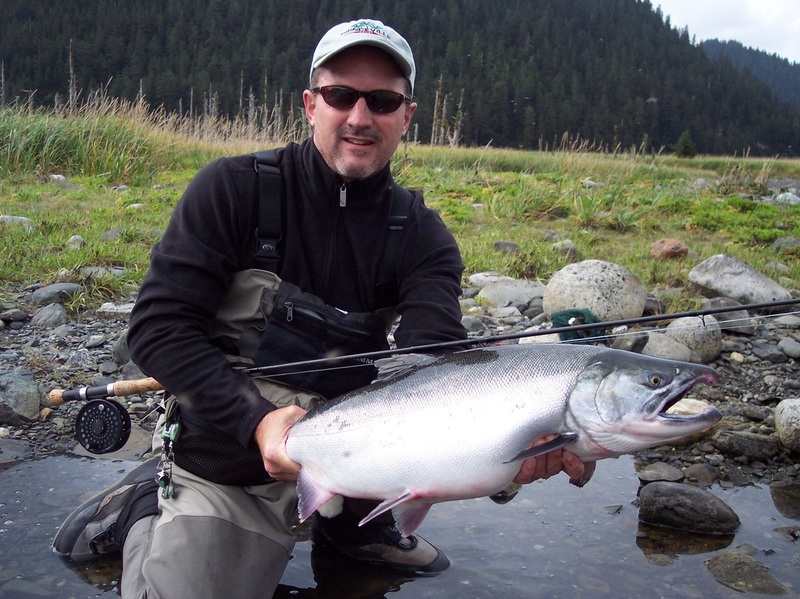 The Kenai / Soldotna area is an excellent place for any type of fishing trip. 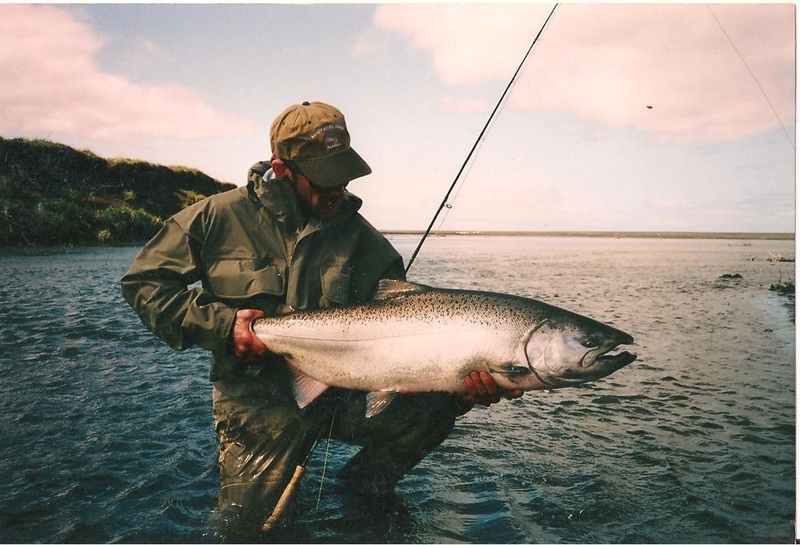 Whether your passion is fly fishing for rainbow trout, light tackle spin fishing for salmon, or pulling out the heavy gear and searching for that 60 lb king salmon or monster halibut, the Soldotna area offers it all. We can provide you with any type of trip, from a half day of guided fishing to a full week guided fishing package with deluxe lodge accommodations. Most people staying in this area choose a package that includes lodging, and guided fishing, the specific trips will depend on the season, and your particular desires. The range of guided trips, varies, from a half day, to full day, of power, or drift boat fishing on a local river to daily fly out fishing to many different destinations throughout Southcentral and Southwest Alaska. The species that you pursue will depend on the timing of your trip. 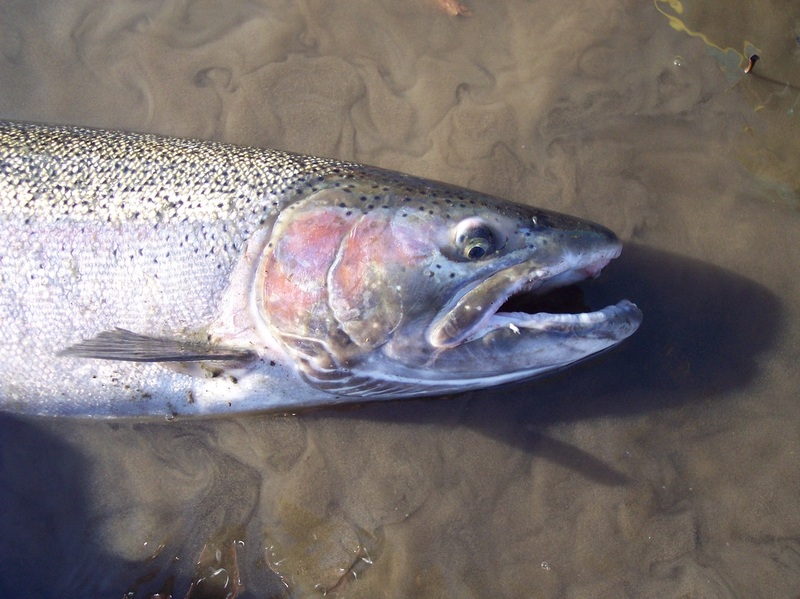 Generally the first fish to arrive are the king salmon that start to show in the area rivers as early as May and continue thru July. The Sockeye or red salmon start to show in early June and run through July and even into early august depending upon the river system. Late July brings the arrival of the Coho or silver salmon with the best numbers showing in August, though many rivers have a large second run in September. 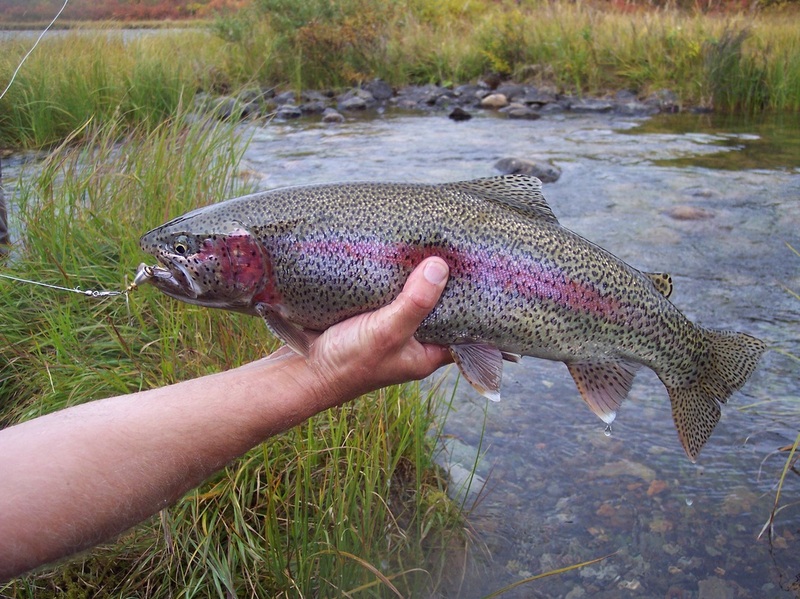 Rainbows and Dolly Varden are available from early June on, but the better fishing is in august and september when a large number of salmon start to spawn and the rainbows and dollys get concentrated taking advantage of this high source of protein. All of the seasons have advantages but if I was forced to choose a favorite it would have to be August thru September. 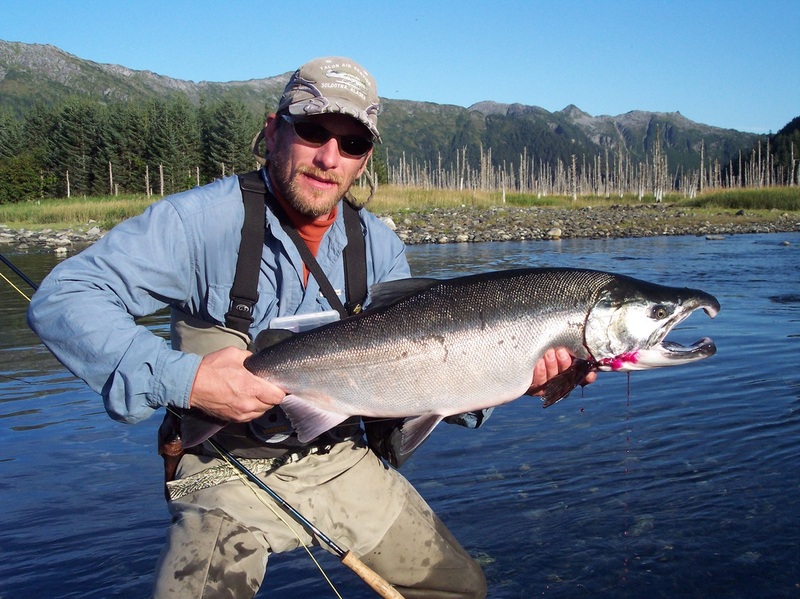 The silver salmon and rainbow combination is a personal favorite of mine and if you share a passion for fly fishing, this is the time of year that I would recommend you fish Alaska. An added bonus to a trip this time of year is the summer crowds are leaving and the fishing pressure is greatly reduced on the area rivers. Talk to us about what kind of trip you have in mind, we can custom craft a trip just for you or you can choose from one of the money saving pre arranged itineraries. Any group size can be accommodated from a large corporate group to an individual. Give us a call to plan your dream trip to Alaska.